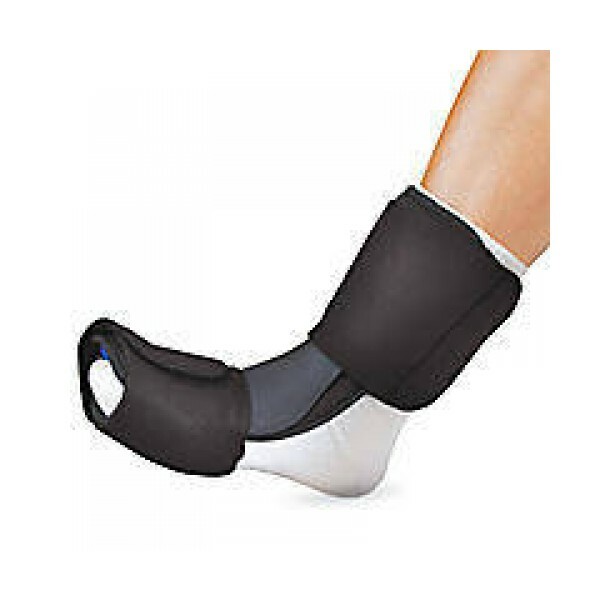 The Royce Medical Airform Dorsal Night Splint is an effective plantar fasciitis treatment for achilles tendonitis, plantar fascitis, and drop foot injuries. - Effective for treating plantar fascitis, achilles tendonitis (tendinosis), achilles strains, achilles bursitis, drop foot and post-static pain. - Its lightweight, low profile slim design makes it more comfortable to wear at night which means better compliance with wearing the splint. - The AirForm Night Splint is easy to put on and take off; adjusts easily. - Fits both left or right foot, comes in 2 sizes to fit everyone. Available Sizes: Based on typical Men's and Women's shoe size. Large: Men's 9.5 to 14, Women's 10.5 to 15View all Ossur items. My foot feels much better using this splint. My physical therapist is impressed with my progress, too. He plans to contact you. Thank you! airform night splint This product has really helped the nightly nerve pain due to the dropped foot. airform night splint looks and feels like the one i got from my podiatrist for alot more money!Definitely try this before getting the same thing from the specialist! Airform night splint Once i got used to wearing something on my feet at night. I noticed that my plantar fasciitis is starting to resolve. Finally!!! Works great! I work in a physical therapy rehab facility and this product works just as good for plantar fasciitis as the more expensive $200 - $300 products your doctor would have you purchase.